28/10/07 — Acquisitions — Vienna, Liechtenstein Museum — Among the works temporarily forbidden from leaving the UK, we had pointed out in 2006 (article on La Tribune de l’Art, June 1, 2006), a painting by Michiel van Musscher (ill. 1) and underscored its astounding price (£6.6 million), much too high when compared to sales at public auction. In fact, this price was explained by what seems to have been an attempt to avoid British law and for which the art dealer Simon Dickinson will have to respond after having been placed under investigation by the police last month in London. This painting which belonged to the Lord Northbrook collection, was sought after by both the Prince of Liechtenstein and British museums. 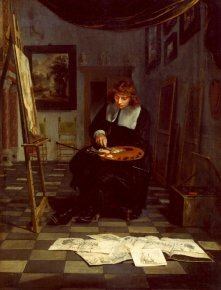 To avoid having either one buy it, a rather peculiar arrangement was set up (denied by Dickinson) : the purchase of a group of paintings from this collection, through Dickinson, with an over-estimation of said work and under-estimations of the others. The price of the group as a whole corresponded to the market price but the apportioning of the estimates was fixed in such a way as to allow the Musscher to leave the United Kingdom since it was too high for anyone to afford it. 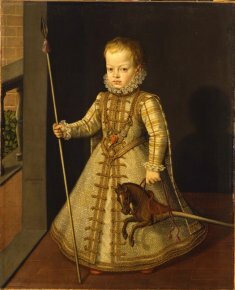 The Portrait of Don Diego, son of Philip II of Spain by Sanchez Coello (ill. 2) of which we also spoke in a previous article (see News of July 12, 2007) and which was likewise forbidden from leaving the UK at the time, was included in this lot. Its acquisition by the Liechtenstein Museum does not seem to be in question, nor do the seven other paintings with prices below market estimates. 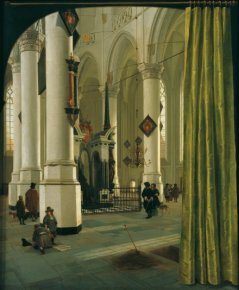 These are : a painting by Hendrick van Vliet (ill. 3) as well as View of Haarlem with City Hall and View of Haarlem with the church of Saint-Bavo by Gerrit Berckheyde, a flower painting by Jan van Jysum, a Still-life by Jan Davidsz de Heem, Figures Resting by Joris van der Haagen and finally, a painting representing an Evening Meeting by Godfried Schalcken. The Prince of Liechtenstein is one of the biggest buyers in the market of old paintings today. His purchases are intended for the walls of the Lichtenstein Museum in Vienna. However, it is difficult to have a good idea of his acquisitions, as the museum does not always communicate the information. Nonetheless, we can point out, in 2006 qnd 2007, two Baroque studies. The first is by Daniel Gran (ill. 4) who was a student of Francesco Solimena in Naples and Sebastiano Ricci in Venice. 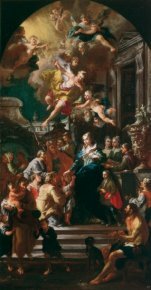 This modello is preparatory for an altar painting which initially was supposed to represent Saint Charles Borromeo, a commission originally intended for Solimena but which was finally entrusted to Gran, with a different subject. This probably explains Gran’s style which is very influenced by Solimena thus paying tribute to his first master. The second (ill. 5), with its beautiful Rococo frame, is by Franz Anton Maulbertsch who, from the generation after Gran, was trained solely in Austria. It is a preliminary study for the churchof Maria Treu in Vienna. 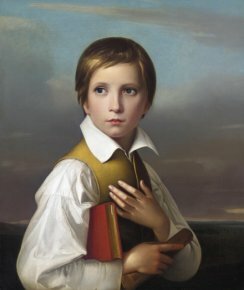 One should also notice a magnificent portrait by Friedrich Wilhelm von Schadow representing the artist’s half-brother (ill. 6). This work reveals the Nazarean taste for very smooth painting, combined with a fully Romantic sense, present in the dark sky of the background, and against which the young boy of eleven stands out forcefully. 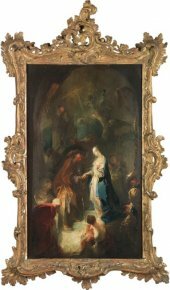 Although Austrian and German painting form the major part of this collection — enriched over the last few years by several canvases by Ferdinand Georg Waldmuller (1793-1865) — other schools are also included, such as Germanic and Italian sculpture, notably of the Baroque period. 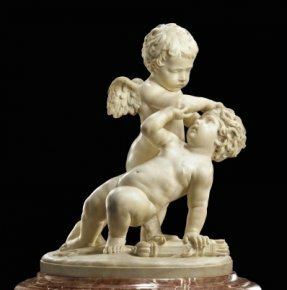 The museum also acquired recently a marble group by Algardi representing Eros and Anteros or Two Loves Fighting (ill. 7). Purchased in 2006, it was first published by Marion Boudon-Machuel in her work on François Duquesnoy while still in a private collection. This sculpture is striking proof of the proximity of the two artists in their manner of treating the subject of the young child. 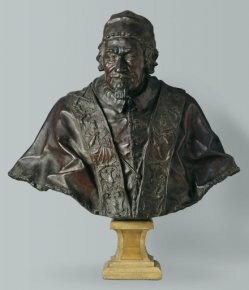 A bust in bronze of Pope Alexander VIII (ill. 8) is by a student of Algardi, Domenico Guidi and a small statue of Marsyas (see article on La Tribune de l’Art of February 13 ? 2007) after Pierre II Legros, that England also tried to keep, has also entered the Liechtenstein Museum which seems to be very active in the English art market. 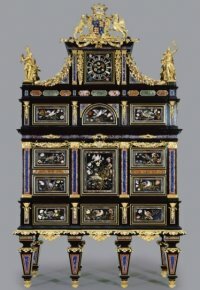 Last but not least are the numerous purchases of decorative arts among which, in December 2004, the Badmington Cabinet (ill. 10), the most expensive piece of furniture in the world (£19 million), produced in Florence for an Englishman, Henry Somerset, and that the UK tried in vain to keep on British soil.